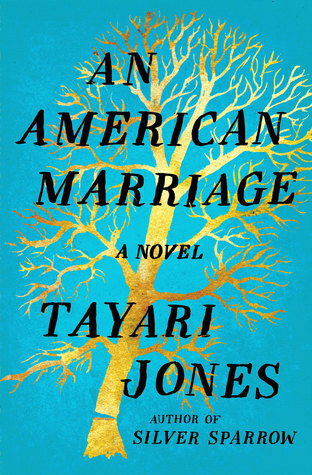 Goodreads synopsis: Newlyweds Celestial and Roy are the embodiment of both the American Dream and the New South. He is a young executive, and she is an artist on the brink of an exciting career. But as they settle into the routine of their life together, they are ripped apart by circumstances neither could have imagined. Roy is arrested and sentenced to twelve years for a crime Celestial knows he didn’t commit. Though fiercely independent, Celestial finds herself bereft and unmoored, taking comfort in Andre, her childhood friend, and best man at their wedding. As Roy’s time in prison passes, she is unable to hold on to the love that has been her center. After five years, Roy’s conviction is suddenly overturned, and he returns to Atlanta ready to resume their life together. Obviously, the important issue in this book is the false accusation and sentencing of an innocent black man. But the big question of the book is what do you do when your new, innocent husband gets taken away for up to 12 years of prison – do you wait for him, or do you wish him well but move on with your life? The answer to this question will not be the same for everyone… this book focuses on one couple’s answer to this question only. And their answer is based on a very particular time in their relationship – one and a half years into it. Not only is their marriage still new, but they also don’t seem to have one built on very solid ground. The author never comes right out and says it, but it seems likely that Roy still has a wandering eye for other women. Or at least a strong potential for it. I’m not so sure their marriage would have held up more than 5 years anyway. I get the feeling that this book (the book, not the author) is saying that wives are a means of comfort and support – that a man needs a wife to take care of him. Love, too. But it’s almost as if the love is a result of the way the wife cares for the man; if she does it well, then he will love her (and maybe even be devoted to her, like Big Roy is to Olive). What if Roy had spent 5 years in prison at a different stage of their marriage? After they had been together 20 years instead of 1.5? What would Olive have done if Big Roy had been in prison for 5 years? Then there’s the whole question of fidelity. If Roy is incarcerated for 3 years, is it wrong/unethical/unreasonable/unwife-like for Celestial to want to end the marriage? If she’s told him she can no longer be his wife (but there have been no divorce papers), is it wrong for her to start a relationship with Andre? If Roy has been in prison for 5 years and doesn’t know whether or not he is still married, but has every intention of trying to get his wife back, is it wrong/unethical/unreasonable for him to have a fling with Davina as soon as he gets out of prison? I feel like I’m talking in circles and getting off track. This book brings up a lot of questions that seem impossible to answer. Many of them probably don’t have answers – only opinions. By the way, I approve of the ending. Have you read this? What did you think? Do you think the author is trying to convey some sort of message, or do you think she’s leaving it wide open? Well, that’s one point about Celestial’s fidelity, but Roy wasn’t faithful to her even in the short time they were married. Lynn points out that it wasn’t important to him, but does that mean it wasn’t important to Celestial? And if it’s not important, why be unfaithful? I agree – Roy’s philandering wasn’t a good sign that their marriage was going to last anyway. Even without the incarceration. Yes, and I think all we learn from Celestial’s point of view is that their marriage isn’t like her idea of Roy Senior’s marriage, which is to her the ideal. I remember thinking this was one for you when I read it, Naomi. My own, somewhat wishy-washy take on the fidelity aspect is that there are so many shades of grey here that it’s hard to make a judgement. I do remember thinking that it was a very complex book and I think my own reading would have benefitted from some discussion with others. Yes – so many shades of grey! Which is why, I think, I had a hard time pulling out definite messages about marriage from this book. Even though it’s all about marriage. Hmm… that kind of says something in itself. Make sure you have someone on hand to talk to about it when you’re done! Even though I agree that the story revolves around ideas about commitment and intimacy, I feel like the author’s impetus for writing the story was the tremendous inequity of prosecution and incarceration of African Americans in the United States. So I can see where you would feel like, as soon as you start talking about the book, you find yourself headed off in a dozen different directions. Because of course it is chaotic, having so many families’ lives thrown into a wood-chipper like this (and with consequences trickling down decades and generations). And there are so many things to think about. The ending suited the story, I thought, and it does seem like a perfect bookgroup choice. I had that feeling, too… that the purpose of the book was to highlight the “inequity of prosecution and incarceration of African Americans in the United States”. And I think it was smart way to do it – by having it revolve around a “love story”. I think it’ll get a lot more readers that way. And of course the false accusation of Roy elevates the other characters’ feelings of sympathy and guilt, etc., making the waters muddier than just a straight up story of infidelity. Haha! “Dull marriages” sound like so much fun to read about! But, yes, I know exactly what you mean – I like books about “dull marriages”, too! This is a good one to read for the ‘social justice’ side of things, though, if you’re interested in that as well. I think that’s why I found it hard to answer our question… because there were so many things going on in the book that the “experience of being a wife” seemed… unimportant (for lack of a better word). 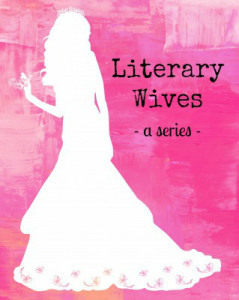 It was hard to focus on just “wife” as opposed to marriage and commitment. There would be a lot of complicated emotions and repercussions at play when one spouse is locked away, unfairly! Not just for the wife… a good example being that her dad suddenly disapproved of Andre when maybe he wouldn’t have had Roy not been wrongly convicted. Or maybe he still would have? You see… here I go again! I approve of the ending too! It was fitting. I like the big question you identify, and my guess is that none of us could answer it until we went through the situation. I don’t think Celestial knew how she would act in the circumstances, or Roy. It was so difficult! Great review! After you trying to figure out if it’s the role of the wife to stand by her man regardless of changing life circumstances? I LOVE your questions! Yes, what if this had occurred at a much different point in their relationship? Or if it had been Big Roy? That really made me think about this book from alternative perspectives than my own. (Thank you for that! That’s the beauty of sharing thoughts in the aftermath of reading the same book, is it not? :)) I love the fact that we get to discuss and wonder. I rarely am upset by not getting “answers” by reading a book. I so enjoy the discussion! It is sad to consider all the lives disrupted by unfair and unjust persecution in this country… I appreciated Jones’ illustration of this in the wake of just one man’s wrongful conviction. I’m so glad to hear you love my questions. 🙂 I had to get them all out. This book presents just so much to think about! Yes I read & reviewed this one in March. I think both the wife & husband shared the blame for their marriage failure and the story showed the personal toll of the false imprisonment on both of them. It definitely helped destroy their marriage. I had trouble liking either of them, but I did sympathize with their circumstances. Amicability did win out between the two of them, which was nice to see. Their circumstances were unimaginable.